We are a Systems Integrator. As automation specialist in control engineering, we have been familiar with the industry and its complex requirements for over 30 years. With the founding of ROTH Sondermaschinen GmbH for special-purpose machines in 2013, the decades-long maxim “Complete Automation Solutions” has been enriched by an important and decisive component. As systems integrator, we offer innovative complete solutions for your specific tasks. Whether it’s robotics technology or portal technology as a single cell solution for machine tools or assembly machines, or, complex linking facilities with several processing sequences, we do everything from planning right up to the assembly of the complete system – the holistic automation system. 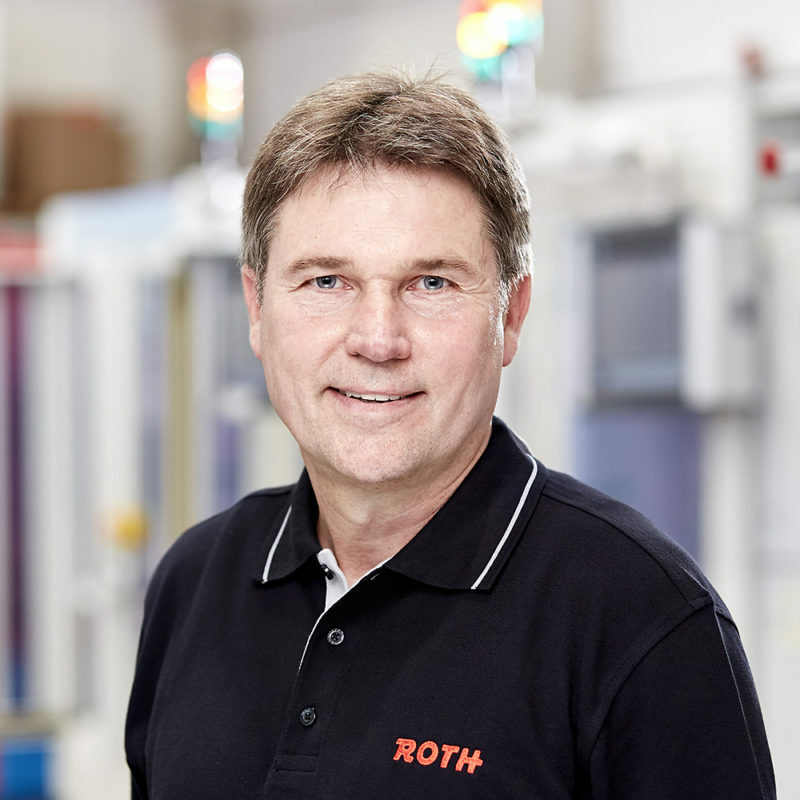 With ROTH Sondermaschinen, we are now in a position to give comprehensive answers to increasingly complex questions in the automation industry. We see ourselves as a provider specializing in the particular challenges of automation. Our task begins where those of others end – in the construction of special solutions in the automation industry, in modifications or expansions of existing systems or the modernization of dear or faithful machines or systems. Right from the beginning, we focused on the handling technology for system solutions. Major projects dealt with robot cells and portal automation for single machines or complex linking systems in the machine tool, packaging, assembly and glass industry. Beyond that, testing bays and decoupling modules belong to our extensive portfolio. A good idea is the basis of a successful development. We see ourselves as a competent partner for innovative original thinkers with ideas which call for solutions beyond the usual standard components. The development and manufacture of complex partially and fully automated manufacturing facilities belongs to our core Tasks. Make use of our knowledge, our experience and ideas for the modular design of standard components, the development of individual special solutions right up to full automation of your innovative approach. Do you have a machine / system which is technically somewhat outdated? We can supply you with comprehensive solutions in mechanics, electrical and software! Even after commissioning, you’re not alone. Together with our service partners, we provide you with an experienced service team which can be deployed worldwide.